Reflex points ensure easy detection of diseases thereby their cure. 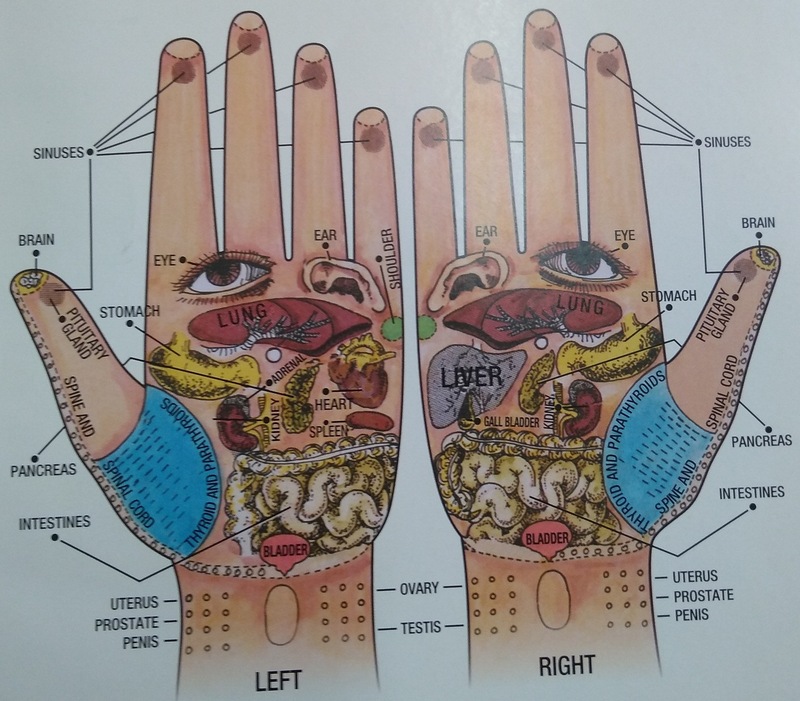 Acupressure or reflexology helps to ascertain the normal or abnormal functioning of different internal organ of the body by pressing certain reflex points in hands, feet and different parts of the body. Thus, pressing these points many ailments can be cured without any medicines and without any side effects. On providing pressure on the reflex points that one comes to know about the normal or abnormal functioning of an organ through the pinch of pain. It is thus clear that any spot in the reflex area representing a particular organ which hurts too severely on giving pressure is the proper reflex point for that organ. Generally, there is only one major reflex point for every organ but there can be more than one reflex points according to the size of the organ and nature of problem. 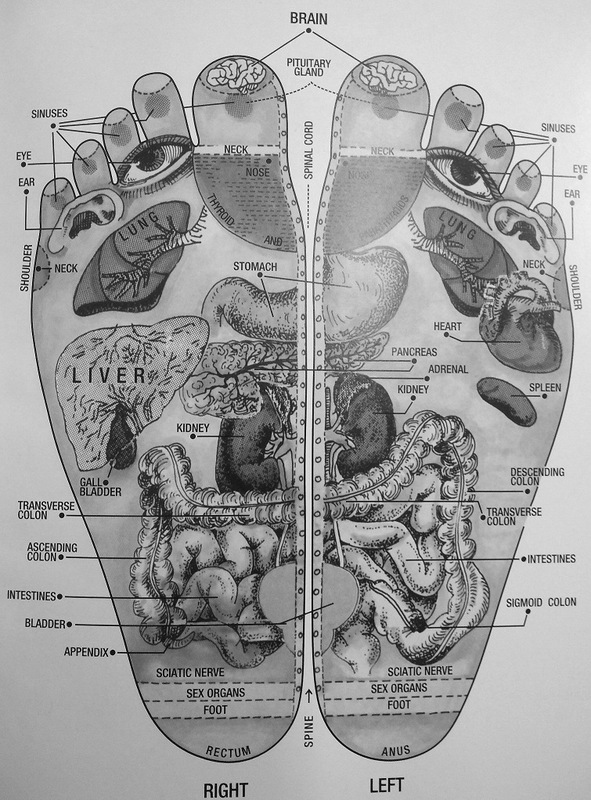 For different organs and body parts, the reflex points or the acupressure points are different. For few of the body parts and organs, reflex points are being given below. By knowing these points, one can easily cure many diseases and disorders. Pituitary gland: Its reflex point exists in the center of both big toes. Pineal gland: Its reflex point is situated at the inner side towards the top of big toes and thumbs. Hypothalamus: Its reflex point is same as that of Pineal gland. Brain: Reflex points of brain are located in upper portion of tips of thumbs, big toes, fingers and toes. Spine: On the inner side of both feet and both hands. Thyroid gland: The reflex area of the thyroid gland is situated at the base of both the big toes and base of both thumbs. Eyes: The reflex points of eyes are situated beneath the second and third toe in feet and at the base of first (index) and second finger in hands. Ears: The reflex area of ears is located at the base of fourth and fifth toe in feet and at the base of third and little finger in hands. Heart: Its reflex area falls in left foot and left hand, in right foot and right hand between the shoulder line and diaphragm line. Lungs: The reflex points of lungs are situated in upper side of feet and hands between the shoulder line and diaphragm line. Liver: Its reflex points are found in right foot and right hand between the diaphragm line and waist line. two fingers above the waist line. Pancreas: The points to cure pancreatic associated problems like diabetes are located mostly in left foot and left hand. Duodenum: The reflex area of duodenum is located in both feet and both hands on the waist line. Spleen: Spleen’s reflex points are located in left foot as well as left hand. Kidney: The acupressure points of kidney are located in both feet and hands midway between the diaphragm line and the waist line. Ureters: The reflex points of ureters are found in both feet and both hands between the waist and pelvic lines. Bladder: Its reflex point is situated in both feet where the heel starts. Similarly it is found in both hands where hand meets with wrist. Small Intestine: The reflex area of the small intestine is situated in both feet and both hands from the waist line to the pelvic line. Colon: Its reflex point is situated in the right foot and right hand. Appendix: The reflex point of appendix is located in right foot and right hand, slightly above the pelvic line. Uterus and Prostrate: The reflex points of uterus and prostate are situated over both feet on the inside of the ankles, midway on a straight line from the base of the heel to the ankle bone. Ovary: The reflex points of ovaries are located over both feet on the outside of the ankles, midway on a straight line from the base of the heel to the ankle bone. Fallopian tubes: The reflex points of fallopian tubes are situated over both feet across the top of the feet from one ankle bone. I am 53 yrs old and a holistic practitioner and I also want to join in your Institute to learn Nephropathy education, do you have distance learning or private courses, and also is this is diploma or Master program or only training center. How long I have to be in India. pls. let me know. thanks. For naturopathy courses and information, kindly contact NATIONAL INSTITUTE OF NATUROPATHY. It comes Ministry of AYUSH, Govt. of India.